Today we’re looking back on the work we’ve done for the Denovo branding and website. Just as the website states, Denovo is made to simplify your practice, allow you to capture more time, and increase productivity. 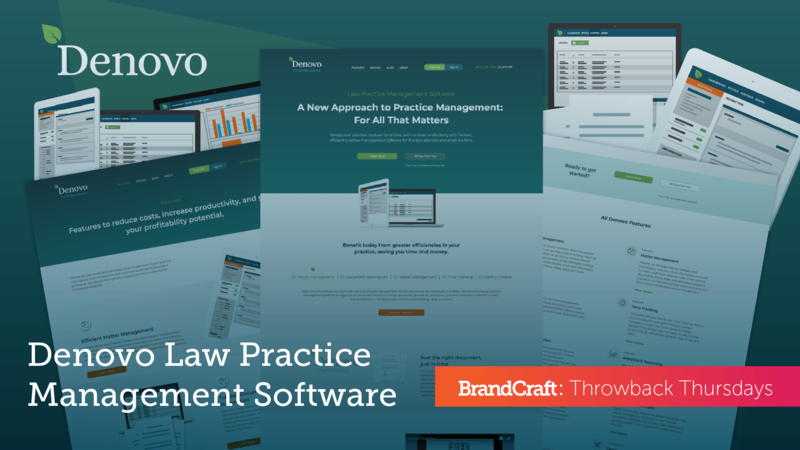 It’s an efficient practice management software for the solo attorney and small law firm. View our Denovo Portfolio Page to see more details about this project. Interested in learning more about the actual software? Head on over to Wildland to take a look.